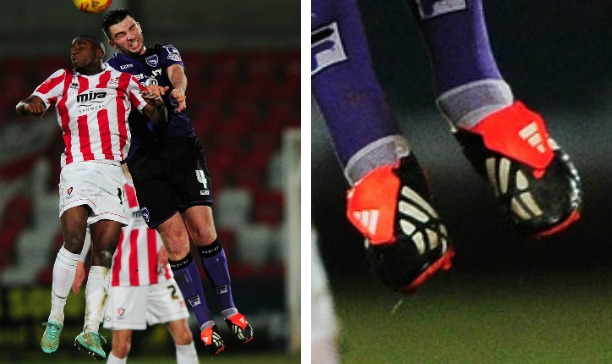 Tell you what, things are REALLY starting to heat up in the football boot world. Massive releases bookmark the next few weeks starting from this week, with one of the most highly anticipated company launches in recent memory kicking off in a few weeks. Is it football boot overload? Nah of course not. But until then, a boot spotting is your way to get through the week, and with everything from boot switches to new boots and a cheeky unreleased spot or two, what more could you want? Won a Ballon D’Or? Here, have a custom-made pair of boots! Ronaldo has been rewarded with a bespoke pair of boots as the Portuguese winger was crowned the world’s best player last week, and you definitely have to be pretty damn good to be allowed to wear the gold boots that Nike have made for Ronaldo. 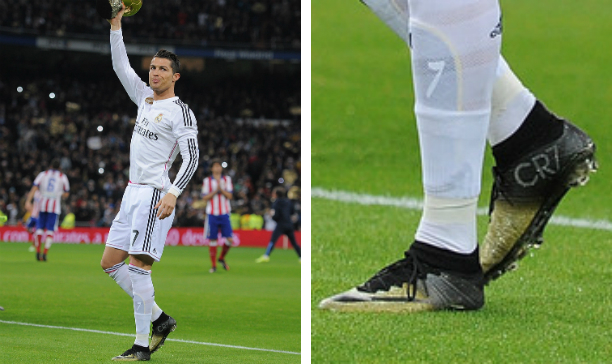 Complete with the slightly shorter Dynamic Fit collar, Ronnie wore the boots for the first time in Real’s surprising loss to Atletico Madrid (partially surprising due to Torres finding the back of the net twice). 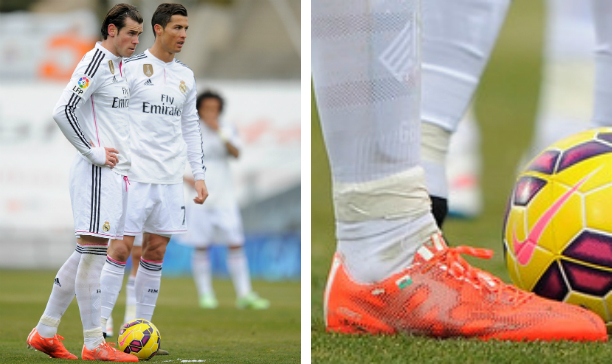 A little bit sneaky by Mr. Bale here, but he is not the first player to have brought out the brand new F50 adiZero before they are officially unveiled. 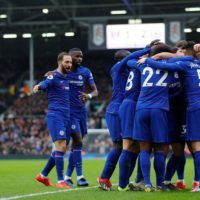 The Welsh wizard, along with Karim Benzema and, of all players, Victor Moses, brought out their new F50 adiZeros this weekend, with the boot getting it’s full unveiling later today. The boot forms part of the “haters” pack, a pack that sees adidas take on a rather aggressive and arrogant marketing strategy in promoting the new F50 and a few new colourways on adidas’ other silos. When we think about where boot leaks come, they normally come from some dodgy, attention-seeking website right? I think for the first time ever a boot leak has its origins from, of all places, FIFA 15. 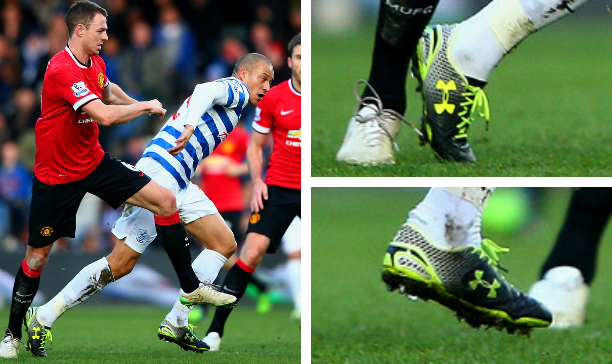 The sharp eyes of my buddy Andrew picked up on what appeared to be an unreleased leather Under Armour ClutchFit on FIFA 15, and this week Bobby Zamora was seen in those very boots this weekend while playing for QPR. A leather upper on a solid boot like the ClutchFit is certainly a mouth-watering prospect, so this is definitely a release that you should keep an eye out for. 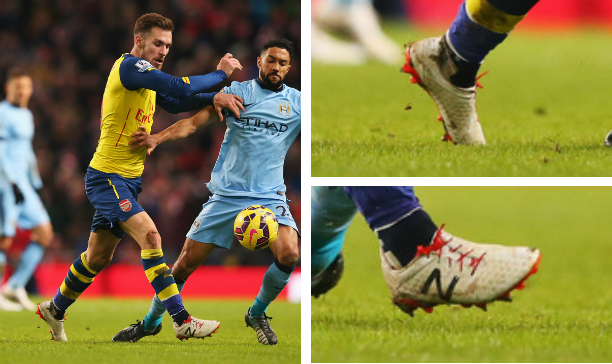 Yes the boots were a very rare release, but it actually seems like their are quite a few pro footballers who have developed quite the love affair with the throwback Predator Instinct releases from last year. Alex Kenyon is the latest player we have spotted in the special limited edition boots, and it is another example of a player wearing a pair of boots that were originally released when he was just a little kiddo (he was just 10 when the originals came out). Alex Song, Alex Song, he wears what he wants, he wears what he wants! 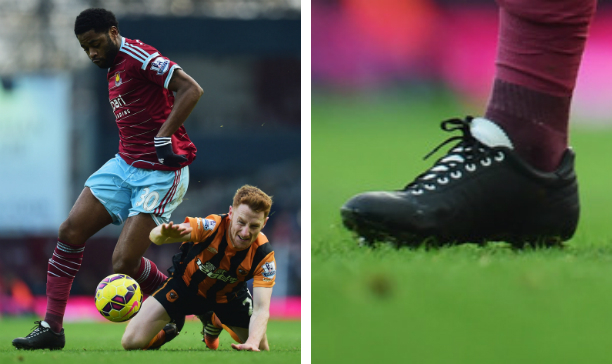 Alex Song has arguably provided the most interesting boot switches in the EPL this season, from Magistas to retro Puma Kings and now a boot that probably took me about 10 minutes to work out what I was actually looking at. I have narrowed it down to Song rocking a blackout pair of the Pantafola D’Oro Lazarini, which are given away by those rather large shoelace holes. 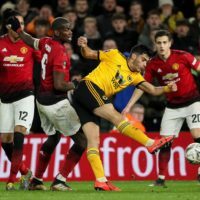 A look at Song’s history of football boots in the past month does tend to suggest that the midfielder is falling for his soft leather boots these days, and you cannot go past Pantafola if you are looking for a no-nonsense leather boot.